NY Bitlicense Application Form - now available! We recently reported on some of the key matters that operators of a bitcoin business should consider in light of the new NY Virtual Currency licensing regime. Now the New York State Department of Financial Services has issued the application form – it can be accessed here. a copy of their Application for Authority and Foreign Bid Certificate, certified by the Secretary of State of New York, as proof of their qualification to do business in this State. Information on the business and its history – this is extensive and includes information on all jurisdictions (including non US) that the applicant and its affiliates has financial services licences (including if it has been refused such authorisations). – please note that there are separate sections to supply related fingerprints and detailed background investigation reports. 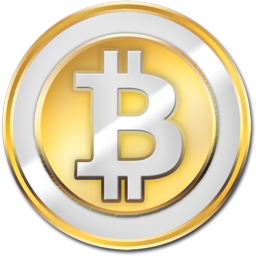 Business Operations – this includes the methodology used to calculate the value of virtual currency in fiat currency. Agreements – the applicant will need to supply its proposed customer agreements under the ‘Business Operations’ section, but also any others that it has entered into in anticipation of Virtual Currency Business Activity. There doesn’t appear to be a materiality test here which may require clarification. AML policy / FinCen registration (if applicable) and other policies such as general compliance, anti-fraud, cyber security, privacy and information security, business continuity and disaster recovery, complaint handling. Collating all of these documents is no simple task just to submit the application. Applicants would be prudent to start investigating and putting together the ‘deep dive’ information requirements on its connected persons, as well as all of its compliance documents. One time saver is that if a firm has also applied for a money transmitter licence with the NY Department of Financial Services then some of the same information can be cross referenced without duplicating the submission of all information. advisor, bitcoin, digital currencies, Innovation, payment, Payments, virtual currencies permalink.